Homeowners’ Flyer – a handout developed by campaign partners to educate homeowners of some questions they should ask prospective contractors when having work done on a roof. Need help figuring out a fall prevention device that will work for a job in residential construction? Vicki Kaskutas, a researcher at Washington University School of Medicine in St. Louis, has developed an online tool, Fall Protection Resource for New Home Construction, which describes over 150 fall prevention devices. People can search by the type of fall protection device needed (anchor for personal fall arrest system, scaffold, guardrail, etc. 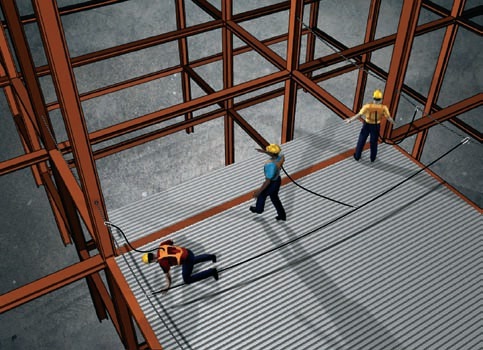 ), or by the phase of construction fall protection is needed for (floor joist installation, truss setting, roof sheathing, etc.). At least one close up picture of each fall prevention device is shown, the device purpose and installation are described, cost and manufacturer are provided, and links to the device manual, vendors, and video are provided when available. 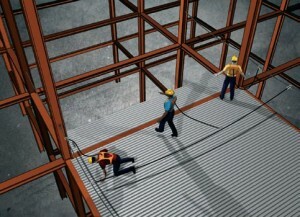 To learn more or use the Fall Protection Equipment resource, click here. The research and website was funded by NIOSH and CPWR.